Digital literacy means having the skills you need to live, learn and work in a society where communication and access to information is increasingly through internet platforms, social media and mobile devices. 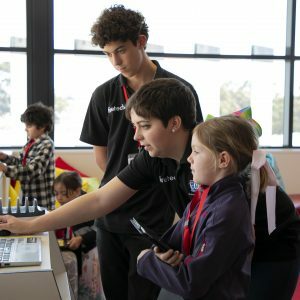 For many teachers and students, it is a minefield – which is why Perth-based education provider Fire Tech Australia is helping teachers navigate the largely unchartered terrain through a number of programs aimed to improve student digital literacy while upskilling teachers in the latest technology. The company’s multi-faceted approach includes school incursions, co-curricular activities, after-school clubs and professional learning opportunities. WA students still have a “long way to go’’ when it comes to digital literacy. In WA, only 54 per cent of Year 6s achieved a “proficient” benchmark last year which, despite being one per cent above the national average, was a five per cent fall on the state’s results in 2011. The fifth cycle of the National Assessment program – Information Communication Technology Literacy released by the Australian Curriculum, Assessment and Reporting Authority in December 2018 – identified “an opportunity in Australia for student ICT literacy to improve”. Fire Tech Australia managing director Andrea Conte says the organisation teaches people of all ages how to become confident digital citizens, having run courses in more than 100 schools since it launched in 2016. He says teachers who have engaged Fire Tech Australia in the classroom and for their own digital education have reported greater confidence in delivering Science, Technology, Engineering, Mathematics and Arts programs – and desire to learn more. “Our aim is to cultivate a stimulating environment for challenging design thinking, problem solving, communication and collaboration skills – while having a whole lot of fun along the way,’’ Mr Conte said. Fire Tech Australia is the leading STEM+ education provider, delivering courses to more than 2500 students and teachers in schools across metropolitan and regional WA, run by tutors fully background checked with current WWC and NPC checks. PLs focus on improving STEM+ knowledge and practice in coding, robotics and DT curriculum implementation. Fire Tech After-School STEM+ extension clubs have a ratio of eight students per tutor in all sessions to ensure all children receive the support they need to excel. Drop us a line to find out more or call 1300 347 383.